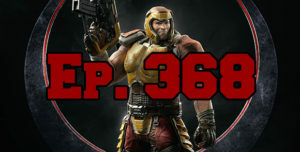 On this episode of The GAP Luke Lawrie and Joab Gilroy get their hands on Quake Champions, and things don’t look good at the moment. They also talk about PlayerUnknown’s Battlegrounds, the Gaming4Life charity stream, Dota 2 action at the Kiev Major, and Joab talks to the creative director of Prey – Raphael Colantonio. Over in the news Call of Duty WWII is officially announced, Nintendo reveals some upcoming Breath of the Wild DLC, and the NES Mini classic sells over 2.3 million units. This episode goes for 2 hours and 20 minutes, it also contains coarse language.